Google+ as you know is owned by Google, so it should be playing an important part in your social media strategy, or that of your clients’. Whilst Google doesn’t release information on algorithms that determine page rank in their search engine, it is known that social media activity such as liking, commenting, tweeting, sharing, updating, etc, affects SEO. However a little known fact (unless you really study social media channels – what works, doesn’t work and why) is that Twitter doesn’t actually want Google to follow many links that are included in Tweets, and Facebook’s privacy settings automatically block status updates from being indexed. So both of these channels are unlikely to be giving you any benefit in terms of SEO. They are of course benefiting you in terms of awareness and building relationships, so are still good outlets for business opportunities. Google+, being Google, does index your public posts. It’s therefore a great social channel to boost your SEO, become more authoritative, and find new business opportunities. But for me here’s the real nugget; when you publish a blog article and add it to your social media channels (of which top of your list should now be Google+), anytime someone else +1’s it, you get a ‘vote’ from Google. Not so much for the physical aspect of getting a +1, but because it acts as a link back to your website, therefore helping to organically improve your SEO. So how can you make it work for your VA business? First off, get a Google+ page for you or your business – whichever you’d prefer to use to represent you from a business perspective. Next, make sure you’ve added the Google Authorship Markup. What’s this? This is how you get your image appearing next to your content in search results – aka a Rich snippet. A proven way to get more traffic to your website. In fact, some research has led us to believe that it can increase traffic by as much as 150%. How? Trust. Yes, we come back to that 5 letter word again. 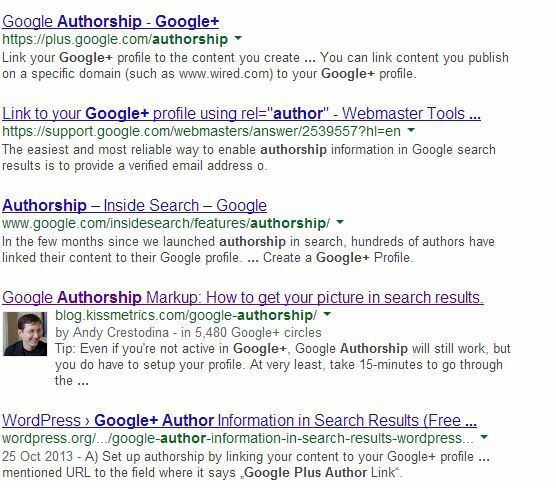 How to set up Google Authorship depends on whether you have multiple authors on the one website, like our VA Professional Magazine, or if you blog on your own website and that’s it. You can find a step-by-step guide to setting this up here, or a short video overview here. Included are various options for adding a plugin to your website that automates it all for you. Just remember to check it works! Don’t just assume that it will. Google provides a free testing tool checker and if it doesn’t, offers solutions to get it working. Next add Google+ to your business blog and if you write guest articles, make sure you add your Google+ link in to your bio. Then any time you publish an article, add it to Google+. And don’t be shy about +1’ing it too – it will help other people see it, and hopefully if they like it they’ll share it too. Of course, you need to build your network for it to really have some impact. So start joining communities relevant to you, then join in on conversations. What’s your VA niche? Find communities within that industry. Don’t have a niche? It doesn’t matter. Follow a variety of communities and get involved as much as you can. Share interesting content you’ve read written by other people within those communities, and of course share your own content. To find out more about Google+ Communities, Google offers all sorts of advice through their support forums, as well as this article from Social Media Today that covers the nuts and bolts. It’s clear that by ignoring Google+ you’re doing your business out of potential ‘free’ marketing opportunities. So for 2014, if it isn’t already, Google+ should be high on your marketing plan. It is on mine. Great article…. thanks for this. I had read about this, but the ‘how to’ to do it was horrible and I couldn’t get it to work. This one makes it much understandable.